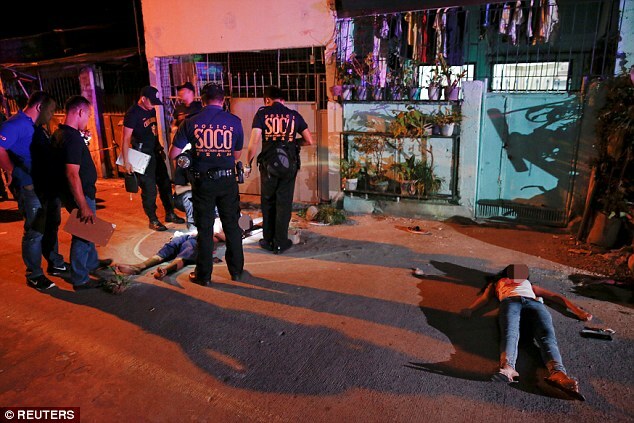 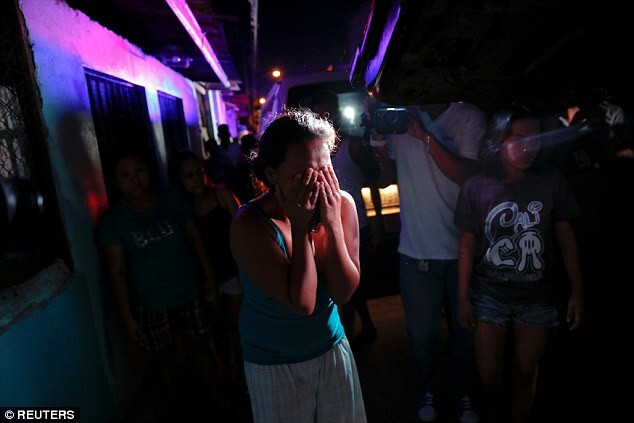 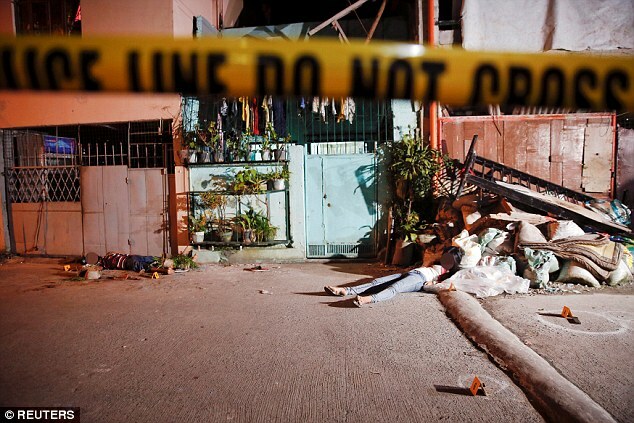 A teenage girl was shot dead by gunmen in a back alley in the Philippines. 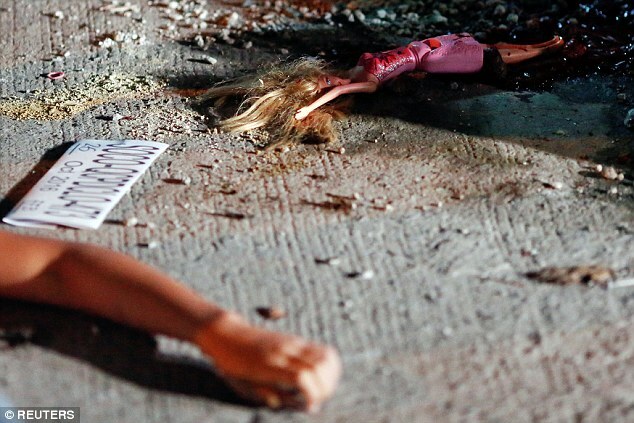 Lying in the street with her blood-stained Barbie doll blasted from her hand, the dead teenager has become the latest victim of the Philippines war on drugs. 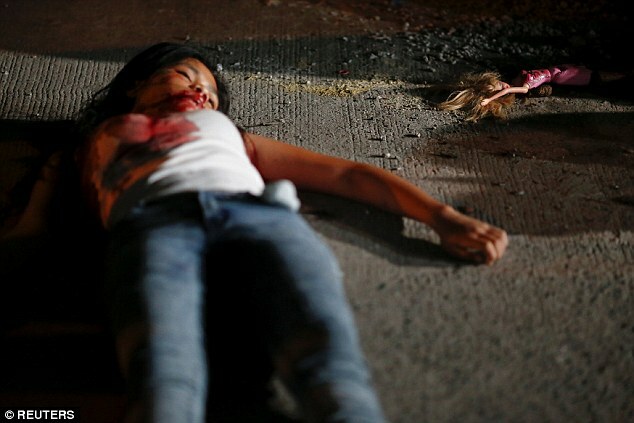 The young girl was shot dead alongside her older friend by unknown motorcycle-riding gunmen in an alley in Manila. Afterwards, the shooters left a cardboard sign on the body of her 21-year-old male friend with the message 'You are a drug pusher, you are an animal'. 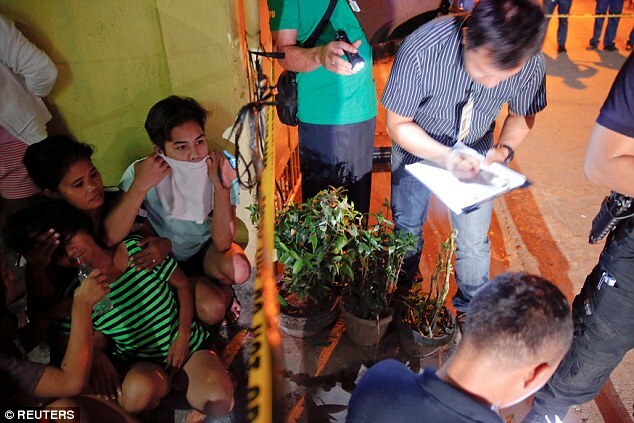 And police now believe the girl may have been an innocent victim caught up in the shooting when the gunman tried to target her friend. 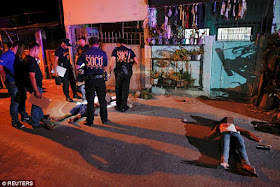 Pictures from the scene show the bloodstained teenager, 17, lying dead on the ground outside a house in a dark street. Other images show officers gathering up her belongings, which also includes a Hello Kitty watch while her weeping relatives look on devastated.